Solar industry cheers, prepares for CPUC struggle, as bill moves on to Gov. Brown’s signature. 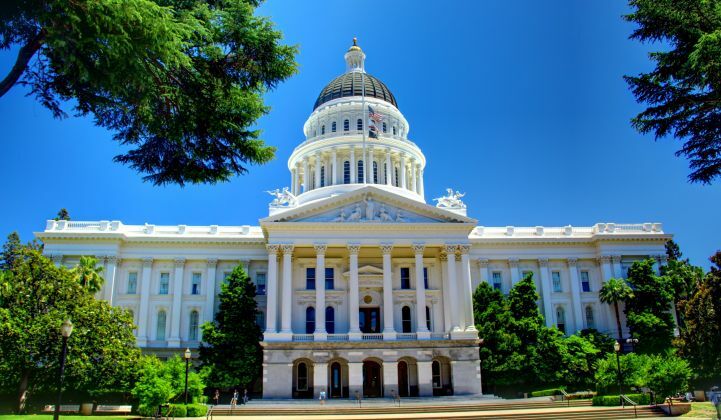 AB 327, the bill that will redefine California solar net metering and residential electricity rate structures, passed the state Assembly on Thursday, on its way to an expected signature from Gov. Jerry Brown to turn it into law. Solar industry advocates cheered the news, and are now girding themselves for the years-long challenge of shaping the coming changes to state policy that could both boost and hinder the state’s solar future. AB 327, which represents the first broad rewriting of utility ratemaking policy since the state’s 2000-2001 energy crisis, has been both a target of protests from solar and energy efficiency advocates, and more recently, one of the brightest hopes for ensuring a stable pathway for solar’s continued growth. The opposition stems from the way AB 327 will allow changes to residential energy rate structures that could harm the growth of rooftop solar PV and energy efficiency in the state. The state’s big investor-owned utilities, Pacific Gas & Electric, Southern California Edison, and San Diego Gas & Electric, have long argued that changes like these are needed to align rates with the economic realities of serving the state’s customers. But in recent weeks, state legislators and Gov. 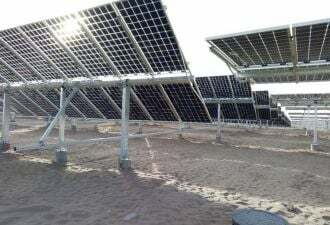 Brown’s office, working with solar industry lobbyists, have added amendments that will extend the state’s solar net metering program, which had otherwise faced an uncertain future. That’s brought most solar industry backers on as supporters, though it also leaves open many questions about how the law’s provisions will be implemented by the California Public Utilities Commission. Prior to passing the California Senate earlier this week, the bill saw additional amendments added to satisfy concerns about how the net metering policy regime it lays out could affect current net-metered customers, as well as the third-party solar aggregators whose business models largely rely on net metering contracts. “Moving forward, we plan to work closely with the California Public Utilities Commission to ensure that future rules preserve consumer choice, ensuring that California homeowners, businesses and schools will continue to benefit from clean, reliable solar energy,” he said. It also noted the “rare example” of utilities, the solar industry, and ratepayer advocates all supporting the same bill. “Governor Brown has once again proven his ability to bring disparate sides together to benefit all Californians,” said Bryan Miller, co-Chair of TASC and VP of Public Policy & Power Markets for Sunrun. - The Vote Solar Initiative points out that the version of AB 327 now heading to Gov. Brown's desk also includes provisions that would allow the CPUC to increase the state's renewable portfolio standard beyond its current requirement of 33 percent by 2020. "That’s right, 33% renewables will no longer be a ceiling, but a floor," is how the nonprofit put it in a Tuesday blog post. At the same time, Vote Solar and other solar advocates plan to take an active role to assure that the CPUC's rules for how current net metering contracts will be transitioned to the new regime protect the value of those contracts. "We’ll argue that solar customers shouldn’t have the terms of their investments changed on them mid-stream," according to the blog post. AB 327 directs the CPUC to create those transition rules by March 2014, the earliest of many deadlines the commission faces in turning the bill's directives into statewide policy. - The Sierra Club, which has opposed AB 327’s provisions to allow flattening of high tiered rates for big residential electricity consumers, as well as rules that would allow utilities to seek flat fees of up to $10 per month to cover fixed grid costs, has been far less supportive.